This one takes advantage of the new upgrade mechanic. Lazul’s Scheme is the latest card revealed as part of Hearthstone’s Rise of Shadows expansion. 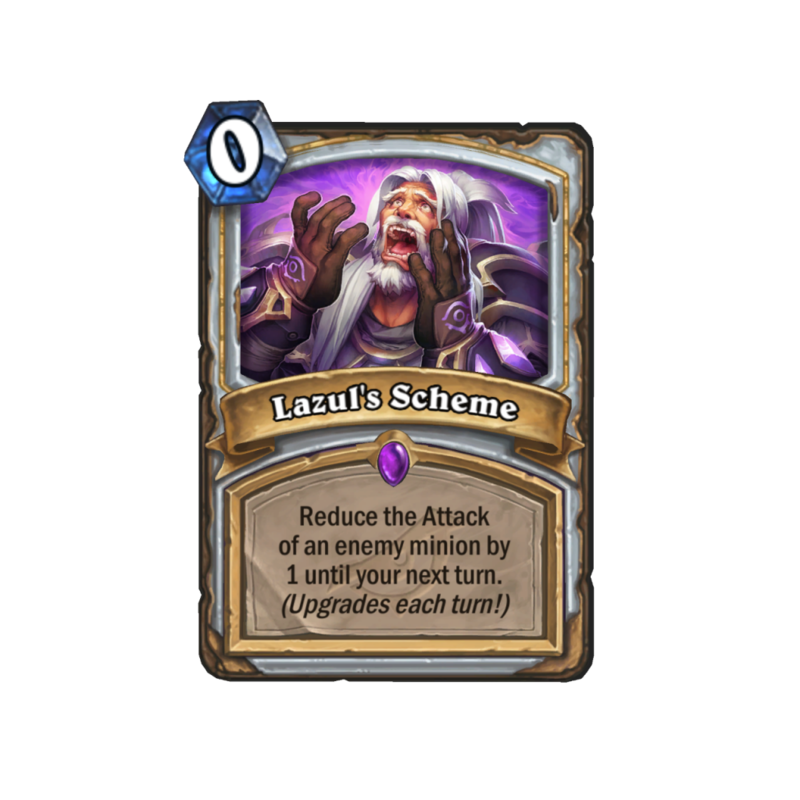 Lazul’s Scheme is another card that’ll use the new upgrade mechanic. This makes it so that the longer a card is in your hand, the more powerful it becomes. Since Lazul’s Scheme starts off by reducing the attack of an enemy minion by one, each turn you hold it in your hand it will upgrade. This means if you hold on to Lazul’s Scheme long enough and play it during the late game, you can probably take the attack of any minion to zero. Lazul’s Scheme is a Priest card—a class known for its Control play style. It looks like we can expect to still see Priest players attempt to dictate the course of the game through spells that generate massive value just like Lazul’s Scheme. So far, based on what we know about Rise of Shadows, it looks like many classes will be keeping the identity they are known for, but implementing it in a different way. If you play Priest, it’s time to put your thinking cap on and start prepping that new Control deck. 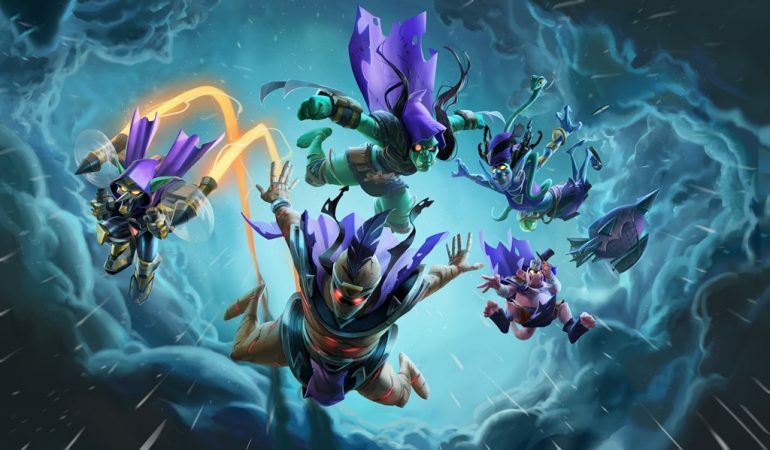 Rise of Shadows goes live on April 9, so you better theory-craft while you still can.